Try as I might, I never have a good and/or definitive answer for this. There are just too many variants: location, number of animals, sociability of those animals, comfort level of accommodation, TV and media choices in the home, and so and so and so. I can honestly not pick one. However, there are other metrics I can easily use to pick ‘The Most Something’ of a housesit and this is one. Namely, it’s been the shortest! Initially intended to be a little over 24 hours, this short housesit at Wynnum West ended up falling about five hours short of two whole days. The family had forgotten that they had a Saturday morning obligation or two for their kids, and so rather than meandering slowly back from the Gold Coast on a pleasant Saturday morning/afternoon, they came barrelling back up the M1 early, and I’d barely (in two senses of the word) stepped out of the shower when they were back. 25 minutes later I was on the westbound platform at Lindum train station! 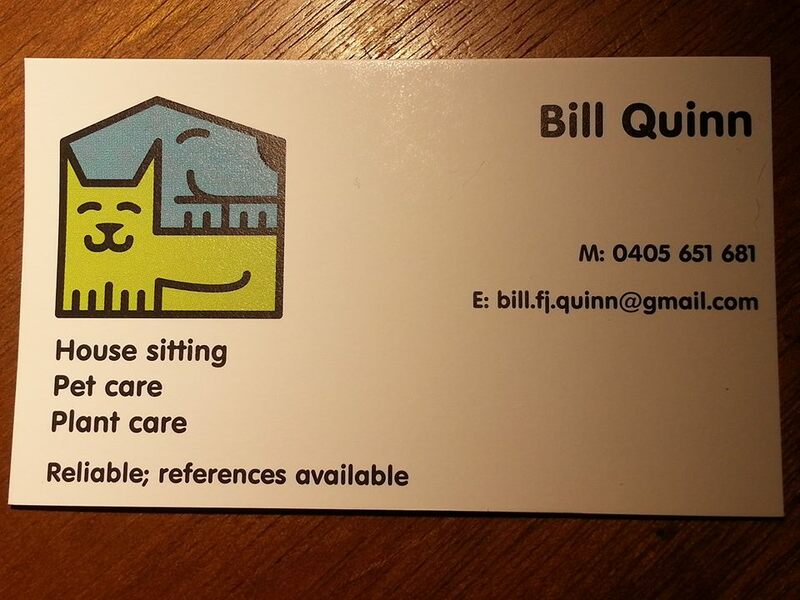 As mentioned many times here and at www.Facebook.com/BillTheHousesitter, 2017 has been the year of lots of short housesits – and they’ve never if ever come shorter than this one! The family at Wynnum were only looking for someone to look after the house and pets for two nights, but this housesit broke up a week-long spell at the backpacker hostel in the CBD just nicely, so I jumped on the Cleveland line one Thursday morning and headed out west. The place is a modern house in a quiet street with easy access to one of the most under-used dog parks I’ve ever encountered. The old Labrador and I ambled over to Evelyn Street on both days I was there, but in all that time we only saw one other patron. Which is a bit of a shame, as other parks I’ve frequented have been a buzzy hive of socialising (especially Upper Kedron and Hamilton, to name just two). Looking after bearded dragons was a first for me, but I have to say that on balance I prefer them to snakes and most other non-dog, non-cat clients.